Do you have a dream of owning a house at the beach? Perhaps you want to go to Hawaii and spend some time looking at the majestic volcanoes. Or how about buying yourself a beautiful exotic car that you always looked at and craved for? If you make a list of dreams, it will not come to an end ever. However, when you look at your resources, you can’t make them come true just like that. That’s where lotteries come in. They give people a chance to win millions of dollars and turn their dreams into realities. Of course, your luck has to be on your side for you to win the jackpot. However, playing intelligently and persistently can bring about results that you haven’t expected. Being persistent is cool but it requires money to buy lottery tickets every week. While the price of a ticket is not that much, it can end up being quite a lot when you look at the amount going out of your pocket at the end of the month. Is there a way out? Is there a way for you to participate in a lottery without paying cash for it? Yes, you have Lotterly to help you with that. It is a unique approach at lotteries that can help you win millions. Let’s take a look at how. 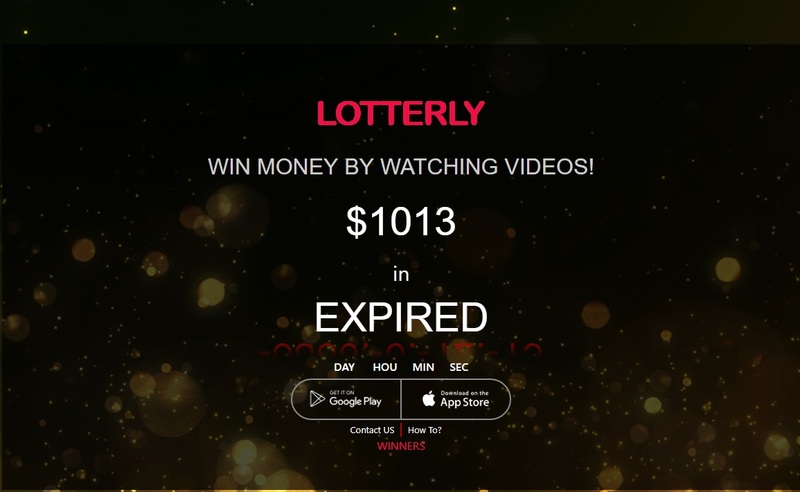 Lotterly is the most unique way of being a part of a lottery and being able to win millions of life changing dollars. It is an application that allows you to play a lottery by watching videos only. Watch videos and that will make you a part of the lottery. You can win jackpots just like conventional lotteries reward their players. The only difference is that you don’t have to spend a dime out of your pocket to get your hands on the ticket. The way you arrange for the ticket is by watching videos as well. As of now, you can watch four videos to get one lottery ticket. What that means is that the more videos you watch the more lottery tickets you will have. The more lottery tickets you have the higher your chances of winning will be. The best thing is that you don’t even have to buy the application. Everything is free and does not require any cash from you. Download the application for free, watch videos, buy tickets, and wait for your chance to win millions of dollars. The more players there are participating in the lottery by watching videos, the bigger the size of the jackpot will be. Not only is that a unique way of creating possibilities of hitting a jackpot but it is a perfect opportunity for those who can’t spare tens of dollars for buying lottery tickets every week. There are prize categories in Lotterly. It is not that there is only one person who will win the jackpot. In fact, you have multiple levels of winners, so there are many winners after every draw. The draw takes with the help of an algorithm that has been designed to pick random numbers. In total, the algorithm will pick 12 random numbers. All of these 12 players are the winners of some share of the winning prize. Lotterly rewards the jackpot winner 60% of all the amount that gets collected before the draw. In addition to that, there is an 11% prize for second tier winners as well. The best thing here is that there are two winners in the second winning category. The winning money continues further down the order and nine players are lucky enough to receive 2% of the reward. What this means is that you have an option to win a lot of money even if you haven’t hit the jackpot. The prize money for second tier is 11% of the total prize money that gets pooled in. That 11% is a lot when you are looking at a huge prize money. For example, if the prize money is $1 million, then the 11% of that will be $110,000. Imagine winning that amount by being only the second level winner in the lottery. What will surprise you even more is that each second level winner gets that huge prize. In most other lotteries, if the second tier prize is $200,000, you will not get all of it. If there are multiple players, the prize money gets split equally between the players. In the case of Lotterly, it is already decided that there will be two second level winners. Therefore, the second tier prize is fixed for both the winners. They don’t have to split the second tier prize money between them. That’s something you will be hard pressed to find in other lotteries of the world. You will love the fact that Lotterly has approached modern players in the most modern way possible. You will be surprised to know that many of the biggest lottery websites of the world still require you to buy the ticket physically. They will not let you buy your ticket online, which seems quite disappointing when you look at the current state of technological advancement. In the case of Lotterly, you can be a part of the lottery without buying any tickets at all. You have a mobile application that lets you create an account and create opportunities to win a huge jackpot by simply watching videos. There is nothing for any mobile user to be disappointed. If you are an Android user, you will be glad to know that the application is already available on the Android platform. As for iOS users, the application is not currently available for you. However, an application designed for iOS is coming pretty soon. So, very soon, users of both the platforms will be able to participate in a highly rewarding lottery right from the comfort of their home and without spending any money out of their pockets. In fact, they can even watch the videos during the spare time at college or university. Every time they watch four videos, they will make an entry into the lottery. If you are on the fence whether or not you should use Lotterly platform as way to take part in the lottery, here are some important points to help you make that decision. There is no doubt that lottery tickets do not cost you a lot of money. Some of the biggest lotteries of the world that could even make you a billionaire require you to spend nothing more than $1 or $2 for buying the lottery ticket. Looking at the price, you would think that they are not costly. However, you have to know that you are not necessarily going to win your jackpot on your first purchase of the ticket. Sometimes, people buy tickets of the same lottery for decades before they hit a jackpot or win any prize category. If these people calculate the money they have spent on the lottery, it comes out to be quite a lot. On the other hand, Lotterly, requires you to spend absolutely nothing to be a part of the lottery. As mentioned earlier, your video-watching is more like money in the Lotterly application. The more videos you watch the more tickets you purchase. One of the things you will often hear experts talking about is scams. There are a lot of scams in the lottery world. Lottery companies will require you to spend only $2 to win millions of dollars as a result of the draw. They market their message and thousands of people end up giving them $2 each. Once they have made enough money, they disappear. Even if it is only $2, you end up losing that money. Some frauds are designed very cleverly. They will convince you to open an account on the website and deposit a lot of money in return for rewards and bonus points. Eventually, they would disappear and all your money would vanish too. You don’t have to face any such problems with Lotterly. First of all, you don’t have to deposit any money in your account. You download the application without paying a single penny. After downloading the application, you sign up and start watching videos. Your watching time acts like money in the Lotterly application. More time spent watching means more money. The more money you have the more tickets you own too. In the end, you are creating more chances of winning the jackpot. You can see that in the entire process, you did not have to put your personal money on the line at any point. There are no tricky ways of rewarding the winners when you are on Lotterly. The lottery company gives you the result on its website. You can see all the 12 entries that have win in the various prize categories. Just look for your email address in the list. If your email address is there, it means you have won something big. As stated earlier, even the second tier prize money is quite a lot with Lotterly. Therefore, make sure you match your numbers properly and save your ticket in a safe place to avoid misplacing and losing it. You might think that you will have to spend a lot of time watching the videos to have more entries in the lottery, but that’s only a skeptical way of thinking about things. You can take is positively and treat it like it is a job. Of course, if a job pays you money, the lottery pays that to you too. In that sense, your dedication with a lottery is nothing less than a job. You can watch videos while you are lying in your bed or when you are traveling. There is no doubt that you have your phone with you at all times. Just watch videos whenever you have spare time and prepare for the best to happen. Lotterly lottery grows just like any other lottery in the world. For this lottery to become big, there have to be a lot of people participating in it. So, it is up to you how much you market Lotterly. The more people there are in the lottery, the higher your stakes are. Of course, higher odds make it difficult for you to win something. However, these same high odds are what make your winnings as huge as they are with most other lotteries. The features of Lotterly make it a perfect platform for someone to win a huge jackpot. One thing that you have to recall here is that you can win 60% of the pooled money if your name is picked by Lotterly for the jackpot. It means there is no cap on how much the jackpot can be. More people participating in the lottery will increase the prize money for you. In addition to that, the second prize category winners are able to take home 11% of the pooled money. It means that their 11% is not fixed in terms of the value they will receive too. If the prize money is big, you can already imagine how big the 11% will be. Therefore, you have some great and multiple options to win big money with Lotterly. Lotterly is like a new concept in the lottery industry. 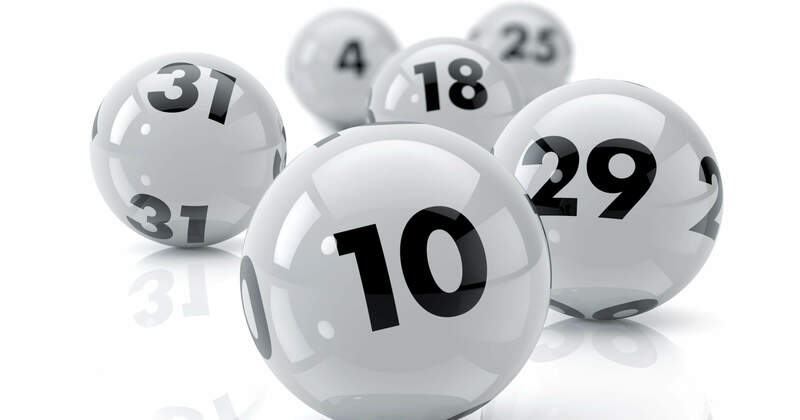 However, the uniqueness and practicality of the idea shows that Lotterly is going to make a big impact in the lottery industry in the coming times. The fact that users are able to participate in a lottery that can win them thousands and millions of dollars without spending anything make Lotterly the best platform for newcomers to start. Lotterly website also has a web form that users can use to send inquiries about the application. So, if you are someone with big dreams and need big money to make those dreams come true, you should definitely give Lotterly a try.